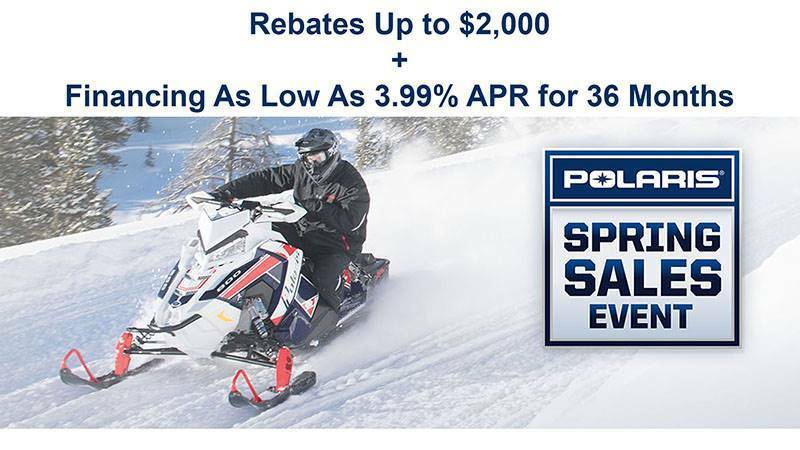 PRO-LITE SEAT: Mountain snowmobiling has changed and so has it's seat. Shorter by 5.5" allowing you to easily swing a leg from one side to the other —along with a 3.75" wider, flatter area for more comfortable seated riding. LIGHTWEIGHT SPINDLES: Spindles feature extruded aluminum construction that is optimized for strength and lightweight. Designed with steering geometry that incorporates reduced steering effort and predictable turn-in characteristics. 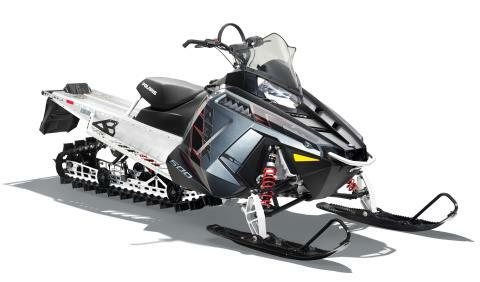 COIL-OVER REAR SUSPENSION: The heart of any mountain sled is the rear suspension. The RMK® Coil-Over Rear Suspension is designed for better flotation and deep snow performance with improved on-trail ride. By eliminating the torsion springs and redesigning the torque arms, this skid weighs substantially less. In addition, it is tunable to the snow conditions. A simple turn of the spring preload adjustment allows you change your set-up from deep powder to crusted snow. POWDERTRAC™ RUNNING BOARDS: The PowderTrac™ running boards have been developed for maximum snow clean out and maximum strength. Built from extruded aluminum with bonded cast lugs, they boast an open area of 50% and integrated traction that is machined in for sure footed performance.